Crude oil futures fell for a seventh straight session on Monday, their longest losing streak since mid-2014, as a forecast from the International Energy Agency (IEA) that the global supply glut was likely to deepen next year dragged on prices. 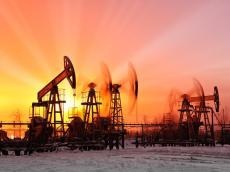 Brent crude LCOc1 fell below $38 a barrel for the first time since December 2008 on Friday after the IEA said demand growth was slowing while OPEC output remained high. U.S. crude, West Texas Intermediate (WTI) CLc1, settled in the $35 territory for the first time since February 2009. Front month WTI was down 16 cents at $35.46 a barrel by 0410 GMT, while Brent was down 23 cents to $37.70 a barrel. Both benchmarks have fallen every day since the Organization of the Petroleum Exporting Countries (OPEC) on Dec. 4 abandoned its output ceiling. In the past six sessions, they have shed more than 13 percent each. OPEC has been pumping near record levels since last year in an attempt to drive higher-cost producers such as U.S. shale firms out of the market. New supply is likely to hit the market early next year as OPEC member Iran ramps up production once sanctions are lifted as expected following the July agreement on its disputed nuclear program, BMI Research said in a note. "All new production will be earmarked for exports," BMI Research said. "In addition to volumes released from storage, Iran will be able to increase crude oil and condensates exports by a maximum of 700,000 b/d by end-2016," it said.